UKC/CKC Ch. 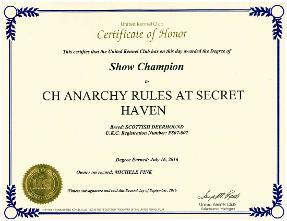 Anarchy Rules at SecretHaven-"Anarchy"
Suzanne Liggett wins BEST OWNER HANDLER IN SHOW!!! Sept 15, 2017 under judge Dr. Robert A. Indeglia. 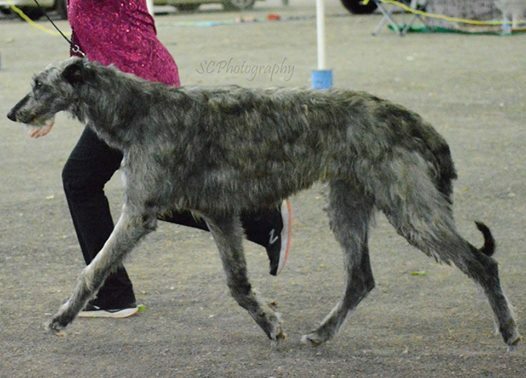 At the North Georgia Kennel Club on Friday Sept 15, 2017 Anarchy wins, breed under judge Mrs. Catherine Bell and group 3rd and best Owner handler defeating 37 dogs. 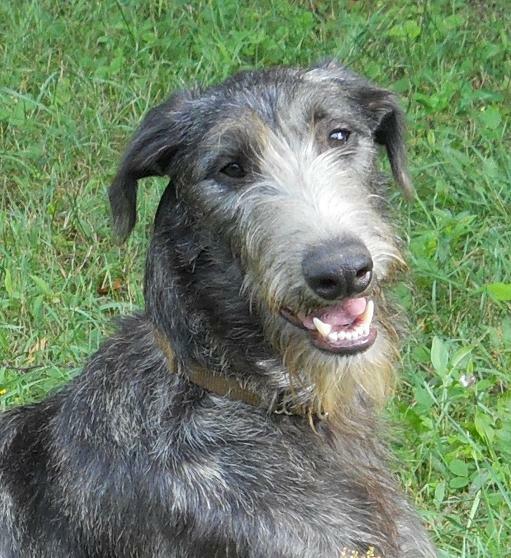 September 29, 2017 - Hound specialty, Anarchy wins Best of Breed for a 3 point major under judge Susan St-John-Brown at the Cumberland Valley Hound Association in conjunction with the Greater Murfreesborg Kennel Club. 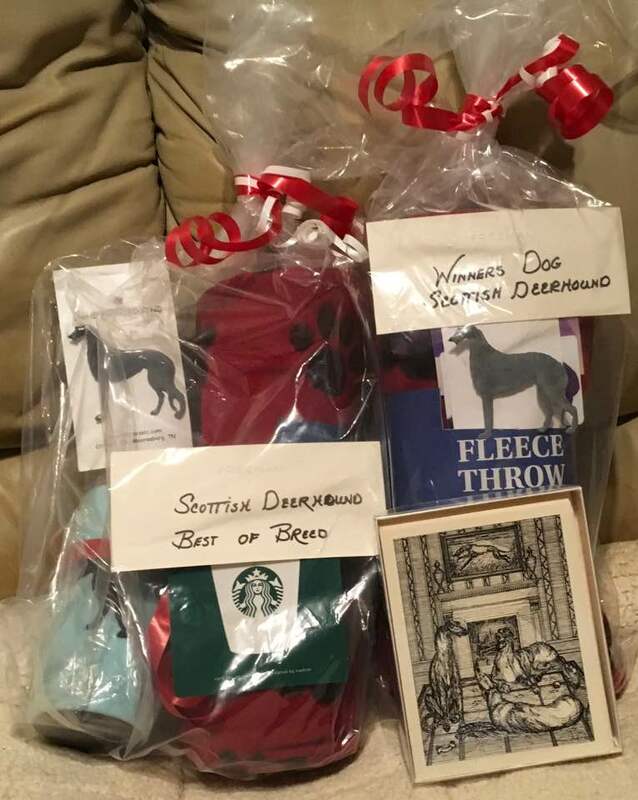 Expertly handled by his owner/co-owner Suzanne Liggett! Monica Robinson took this wonderful shot of Anarchy at the shows in Athens, TN. 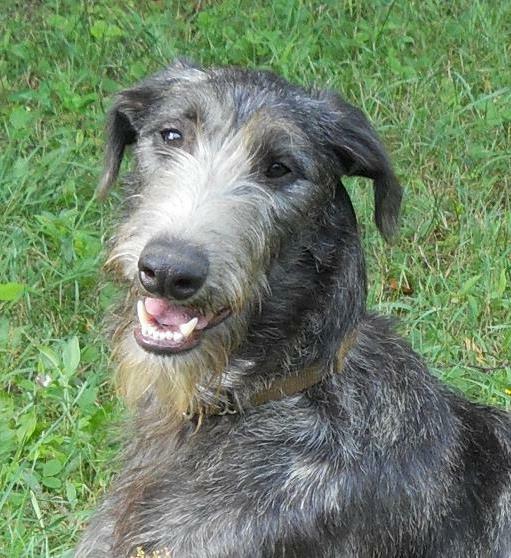 Suzanne Liggett is now co-owner and having a blast showing this lovely boy. 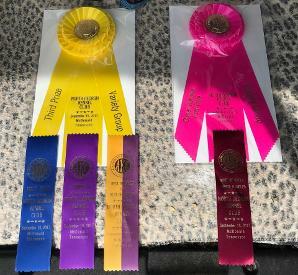 First weekend out and he takes 2 group 2nd, 1 group 3re and 1 group 4th. Just warming up for the UKC premier Top Ten competition! 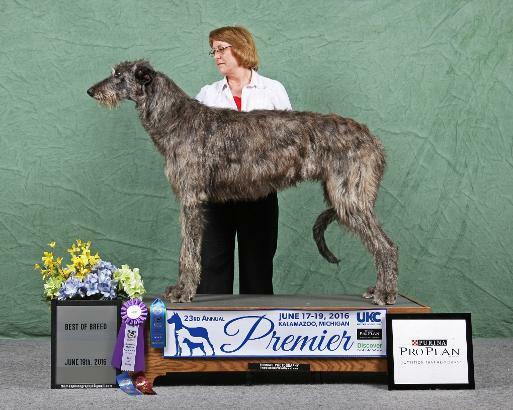 Anarchy wins Best of Breed on June 17, 2016 at the UKC premier under judge Barbara J. Trammell and again on June 18, 2016 under judge Rim Parr. 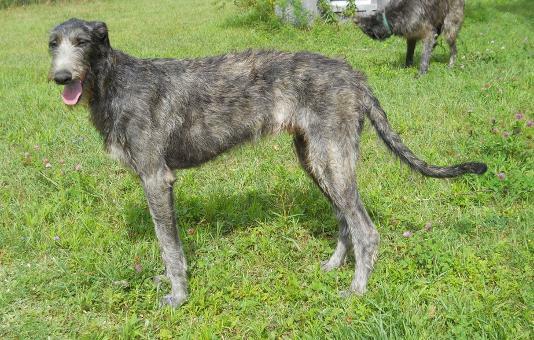 We have a new Champion (Pending CKC confirmation!)! 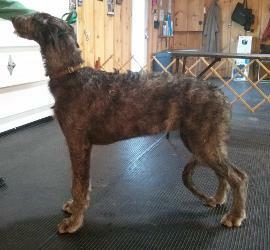 Anarachy went Best of Breed at both shows on Friday April 22nd, 2016 at the Champlain dog show in Petawawa under judges Melvin Beech and Joan Beech. 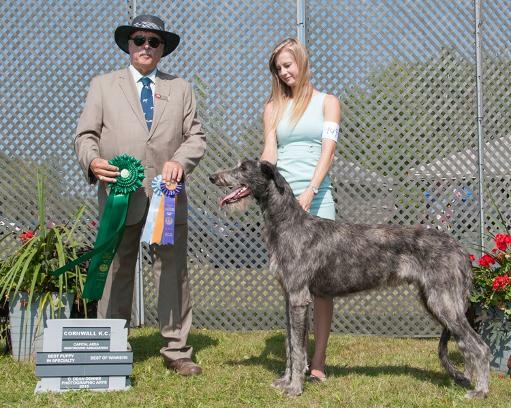 Anarchy won Best Puppy in Sighthound Speciatly and Best of Winners on September 5th, 2015, at the Capital Area Sighthound Association in conjunction with the Cornwall Show under judge Allan Brown. 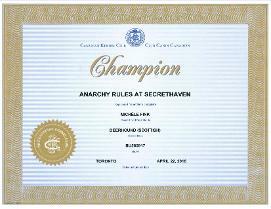 I would also like to thank Savannah Vince for helping me with handling Anarchy. Well we have a first at SecretHaven! 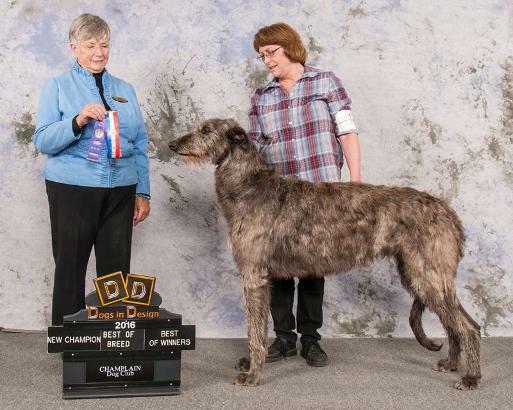 Anarchy (Anarchy Rules at SecretHaven) was awarded Best of Breed then continued and was awarded Best Puppy in Group on Sunday August 23, 2015 under judge Lucie Paradis. 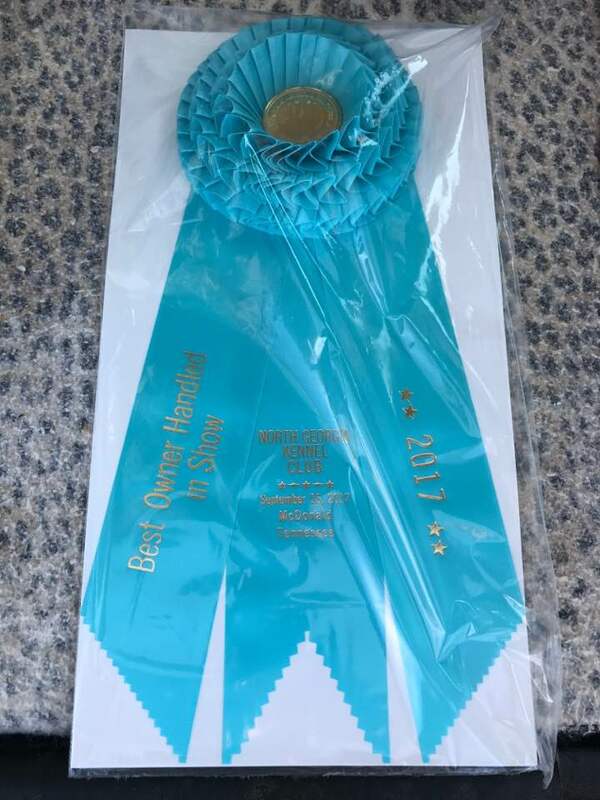 I would like to thank the judge as well as all the people who helped me during the weekend including Savannah Vince & Terry Oshaughnessy with handling and holding dogs. 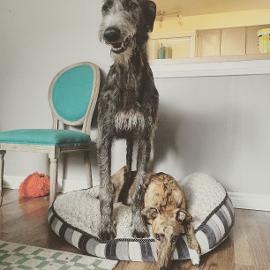 Anarchy is 10 months old here. 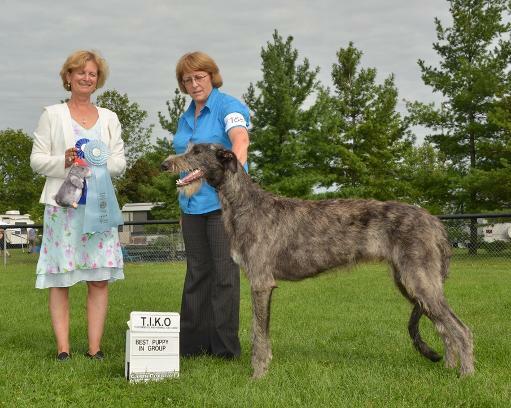 Anarchy won Best of Breed at the Arnprior show on May 8, 2015, under judge Janet Lobb!